Kagawa prefecture, a prefecture renamed itself Slowpoke prefecture during April Fool’s this year, has declared August 10, 2018 as Slowpoke Day. 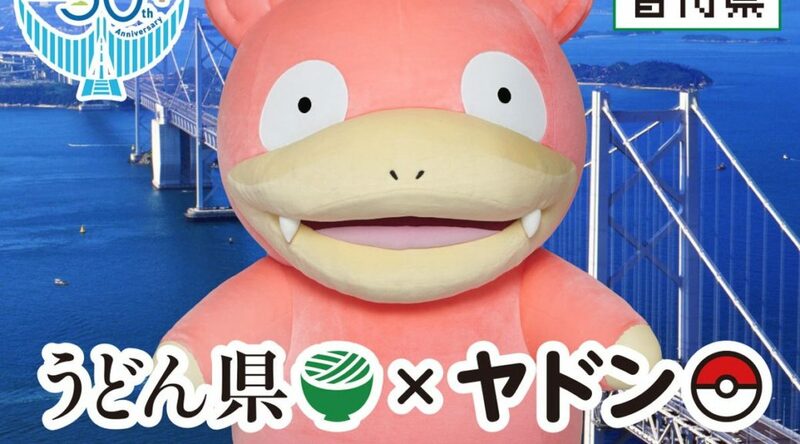 From August 10 to August 12, a Pokemon Center Branch Office will be set up and Slowpoke will make an appearance for photo-ops in Kagawa prefecture. Customers can purchase Slowpoke Udon and other Slowpoke merchandise that were released exclusively in Kagawa this April at the Pokemon Center Branch Office.